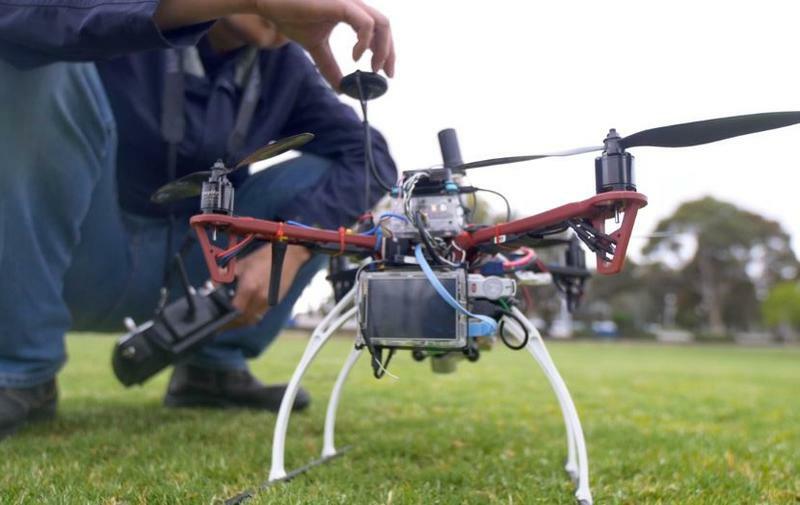 Monash University researchers have equipped a drone with microwave sensing technology to map the soil moisture of farmland. Late last year, the team completed field experiments using optical mapping which can determine soil moisture levels in the near-surface of crop fields. Research is now being conducted using drones fitted with passive L-Band microwave emission sensors, with flights planned that will measure P-Band waves. P-Band waves are expected to be able to measure up to 15cm into the soil unimpeded by vegetation and tillage features. In the trials, after the drone has covered the field, data is taken from it to produce a map of ground soil moisture levels to inform the farmer on how best to irrigate an area. “We need to produce 60 per cent more food with the same amount of land and water, and we can only achieve this by being more efficient with the water we use through irrigation,” said team leader, Professor Jeff Walker, head of civil engineering at Monash. “We need to know how much the crop needs, how much moisture is already there and apply just the right amounts of water in the correct places to avoid wastage while keeping the crop at its peak growth,” he added. Testing has taken place at two farms, in regional Victoria and Tasmania. One was a dairy farm using a centre pivot irrigator and the other a crop farm using a linear shift irrigator. The aim is to fully optimise the use of water on farms, a shortage of which can have enormous human and financial consequences. Agriculture uses 50 to 70 per cent of the water consumed in Australia each year. The Bureau of Meteorology and CSIRO, in a December State of the Climate report forecast a decrease in rainfall across southern Australia with more time in drought, with an increase in intense heavy rainfall throughout Australia. The agencies predict further increases in sea and air temperatures, with more hot days and marine heatwaves, and fewer cool extremes – all of which put greater pressure on water availability. 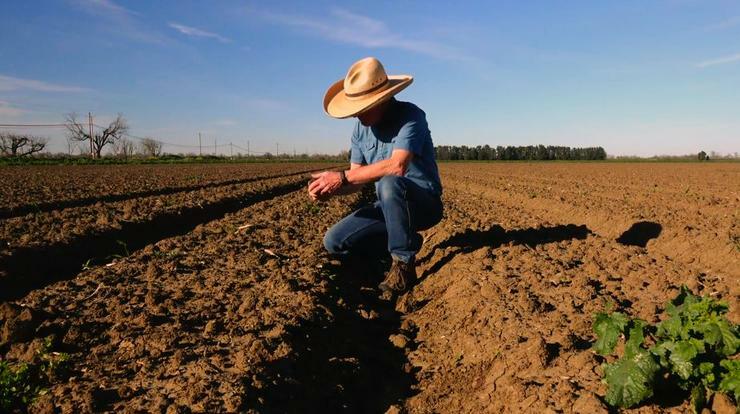 “If the soil is too dry, crops can fail due to a lack of water. But if the soil is too wet, crops can not only fail but pests and diseases can flourish,” Walker said. “At best, farmers might have a single soil moisture sensor in a paddock, but this doesn’t allow for the optimal application of water, especially as this resource becomes scarcer. Plus it won’t take into account moisture variation levels across the individual paddocks,” he said. The researchers say the technique could allow farmers to be more precise in their use of water, improve irrigation practices and maximise crop harvest. “Farmers also need to cooperate; water conservation and efficiency is a collective responsibility. Everyone needs to do their part to use water more effectively or we’re at risk of running out completely,” Walker said. “As the world’s driest continent facing climate change, a growing population and a greater demand for food, water conservation should be one of Australia’s top priorities,” he added. The global market for drones in agriculture is estimated to reach US $2.9 billion by 2021, according to Zion Market Research. There uses are wide-ranging. Equipped with hyperspectral sensors they can measure water and nitrogen levels far more efficiently than labour-intensive ground surveys. They can also be used to dust-crops, survey fences, and for livestock mustering instead of expensive helicopters.